Dronarivm x 2: Sven Laux “Paper Streets”/ Aaron Martin and Machinefabriek “Seeker”. – Drifting , Almost Falling. Dronarivm x 2: Sven Laux “Paper Streets”/ Aaron Martin and Machinefabriek “Seeker”. The Russian Dronarivm label have been somewhat quietly, in the sense that they don’t make a big song and dance about it, constructing a catalogue of releases that woould make most label bosses green with envy. These two releases are from the end of 2017 (with a fresh release from Bruno Sanfilippo due out this week) are no exception. They are also quite different which keeps listeners engaged to what the label is putting out. German artist Sven Laux has released nine albums, for the most part digitally only and some in the Techno and House genres. “Paper Streets” sees him go Neo Classical and reveals a new talent in this particular field. “Are You Still With Me?” straight from the beginning we are introduced to sweeping soundscapes of soaring drones that sound like you are floating through clouds. Sounding orchestral and wind-swept, the layering keeps in the central plains – not too high or too low in their sounds and fluctuating enough as not to be stagnant and boring. The track is reminiscent of classic Eno and sets the tone for the rest of the album. “A Glimpse of Memory” shuffling field recordings, piano and strings brings in the neo classical direction. The piano has soft glassy tones, the lyrics hello and violin have an edge to them as if they are cutting through the sound like a saw. Fragments of sound flutter about alongside deep lush sections of drones as the music sort of feels like being on a boat pounded by waves as it has that cascading feel. “Out of the Blue” takes a glacial cold drone alongside violin drones and delicate minimal muted piano tones and field recordings to create a slow, meditative loop like piece that unfurls slowly, ever so creeping up in intensity. There is a definite dark feel to the track which is highlighted by cello progressions, but what gives it color amongst the darkness are the delicate piano tones that ripple out – sometimes in a highlighted section, other times buried under other elements. “Paper Streets” starts with clashing field recordings before the music goes large-scale with the piano, violin and cello all coming together to create a vast layered sound reminiscent of an orchestra and sounding like something out of a Hollywood movie. There is a strong filmic quality that inspires scenes of an important part of a movie such as a setting sealing intro or an action transition setting. The way the instruments fuse and flow together is instrumental in the feeling you get from the track. The repetition also helps build the mood and maintain the intensity. “From Sadness To You” the first track on the album where the piano is front and center. Slightly melancholic, it is joined by violin and drones that resonate and are looped at a speed slightly faster than the consistent piano playing. Some backwards electronics and the track changes its direction with an almost jazz feel of haunting broken trumpet sounds and soaring strings sections that are embedded with a layer of drones that also feature synth stabs. For me it’s a tale of two halves of which my preference as the first one. “There’s Still Hope” field recordings, dusty sounds, church like organ, electronics that swirl and sound affected are joined by sweeping drones reminiscent of the albums opener and return once more to Neo classical and widescreen sounds previously enjoyed before. The pace on this piece is deliberate, slow and has had the time and care to construct. Not everything is crammed into it. It just slowly takes it time to unwind and reveal itself. Much like the title track, this has a strong Hollywood feel to it. “The Lost Violin” begins like it’s a second part of a track with haunting drones, granular sounds, violin arcs, field recordings and synths. The synths add a rich sound to the track and come across as having both a Neo classical feel but one with a tinge of a proggy sci-fi feel. Like other tracks repetition is used, but unlike others, for me, it is not as successful as before. Possibly this could by the variation on the sound with the synth’s influence. “I Wish I Could Sleep” long form Neo classical bellowing drones with flickering sounds on ever second section fill up the sound with metallic sounding violin sections that travel off into the distance. Creaking field recordings add to the violin sounds which are now joined by low bowed cello sections that give the track its bottom edge. With the last few minutes left in the track the strings start to dominate with long flowing orchestral drones that fill out the track and elevate it up making the sound full and dense, but not overpowering or making it claustrophobic. There is a “Disintegration Loops” feel to the way the track loops. 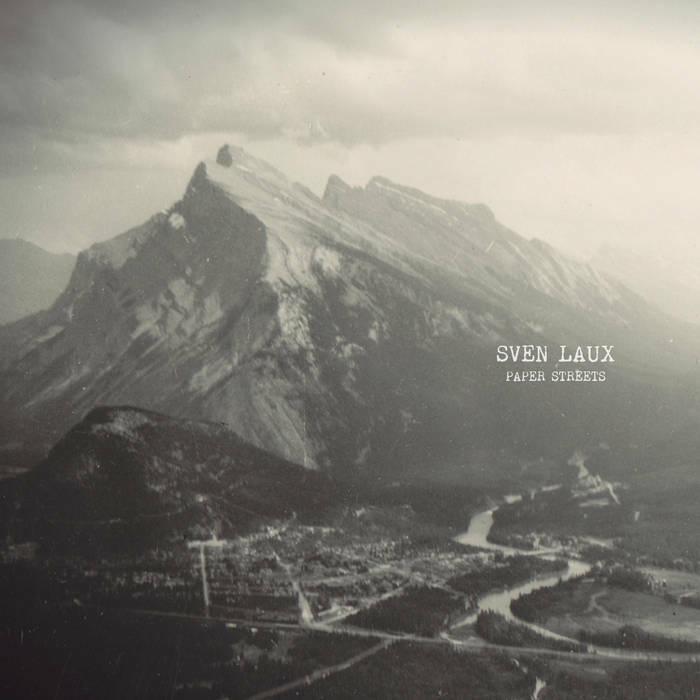 Sven Laux has constructed an impressive album that is full, considered and an enjoyable listen with highlights being “Paper Streets” and “There’s Still Hope”. The only slight and this is very slight negative, is the occasional sameness which is not over powering in any way but is noticeable to a certain extent. Recommended listening. Rutger Zuydervelt (Machinefabriek) was invited to work on a score for a dance with Choreographer Iván Pérez called “Hide And Seek” in collaboration with American musician and all round collaborator Aaron Martin (with whom Pérez had previously worked with on the piece called “Kick the Bucket”). As Rutger states “I don’t think he knew at that point that Aaron and I had worked together previously (on “Cello Drowning,” an EP released on Type in 2007). Living in the US, Aaron started recording parts and sending them to Iván and me. Then, I would use his recordings to build the score: processing them, editing them, adding sounds, etc..
“Wake” sounds like electronic rhythm slowly disintegrating, like a signal that is breaking down and mutating which is paired after a while with Martin’s cello which is playing a similar rhythm and also at times sounds affected. The tones generated in the electronics are markedly different to that of the violin, but both work well together. Towards the end of the track the music changes with the electronics sounded distant and fragmented, while the violin also shares in the distant feel, but that could possibly be due to mixing. “Wings in the Glass” static building up scatters around with flashes of noise before an all-conquering low cello drone that has the bass feel of the didgeridoo rumbles into the pieces to submerge the electronics underneath it before they start to flicker above and take control. More sections of cello are layered on with one baring low drones while two to three deeply melancholic sections wrap around each other while the electronics scattered about and a noisy ,but sweet melody joins in. In the end the swarm of electronics engulfs everything before all elements drop out to reveal Raster Noton style glitches. “Arms Turn Slowly” a percussive sound of something clacking it put through effects giving it a sound reminiscent off something bouncing off a surface. More electronics in an off kilter melody which turns to be a plucked instrument like kalimba and bass thumps are joined by swirling strings and more juxtaposing instruments and layered hummed vocals. If the piece involves six dancers then this track comes across as featuring an instrument for each dancer. “Leaves are Swimming” brightly strummed string instrument like ukulele is accompanied by similar wordless vocals to that of the preceding track with rustic harmonica like tones and electroacoustic electronics. The electronics splutter and retreat while swirling noisy loops career over the layered strummed instruments created a storm like squall before fading to reveal the initial start of the piece. “Hidden” haunting drones with field recordings and electronics swirl in circular fashion moving around, ebbing and flowing. While not going particularly dark, the music travels in that direction but has enough light to it as not to overpower. It feels like a fusion of Ambiance and electroacoustic experimentalisation without being wholly one or the other. 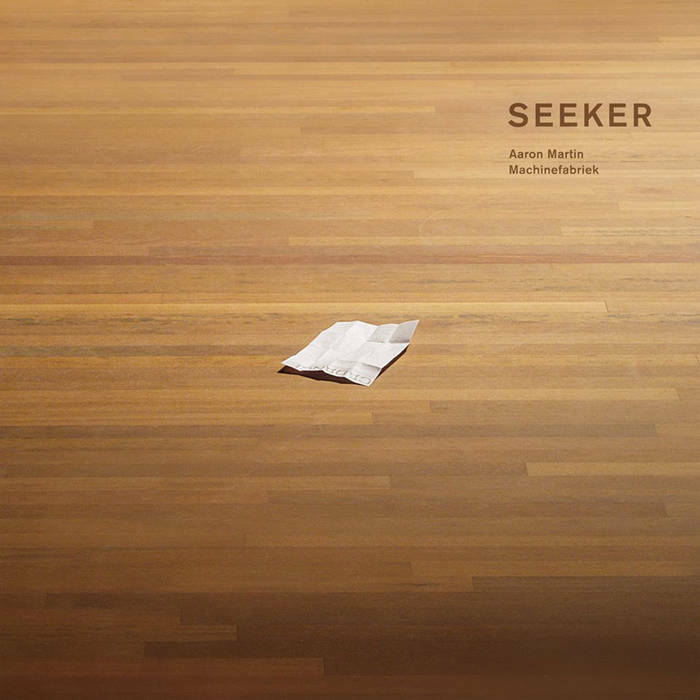 “Seeker” Martin’s low bowed Cello sets the tone of the piece with layered sections creating emotive almost distraught music for mourning. The music flows, cadcades and wails before Zuydervelt’s touch is noticed with slight electroacoustic touches of static and effects. “A Small Crowd Points” electronic tones bounced around like static on an electrical wire. A distant oscillating sound is unwinding to reveal a drone which is short and looped with a similar feeling origin to the original tones. This oscillating sound becomes the central part of this track as the sound scatters around before a cello drone joins in as well as other elements of the instrument such as scraping of the strings, plucking the strings and striking of the body. The cello part is like an organic version of the tones that Zuydervelt was constructing at the beginning and it is almost like a baton has been passed between the artists. “Close To Dark” a distant dark rumble like a storm with the beginnings of a drone are cut by a sharp section of electronic pulses that act like progressions or like a measurement for the drone. They sound crisp and vibrant with a hint of compressed air, crackles and disintegration. They sound very foreign and almost out of the world like a transmission. They scatter, click, roar and pop and just when they reach the peak buzzing cello enters the picture alongside someone panting and more sonic detritus. There is a slightly claustrophobic feel to the music which is heightened by the panting as if the person is under the cloak of darkness trying to get free. “Buried Cloth” breathy vibrato vocals are layered with occasional bass motifs that act as a slight percussive device. The vocals cover the range from more haunting to almost weeping through to rich almost vocal drones. This track is quite different to what has preceded it without the cello and electronics. Presumably watching the dance might give it the context that I am unaware of and its importance in the score. The album finishes with the digital only bonus track of the full score of the performance of the piece as “Hide and Seek (Music)”. For this track the music was collaged to be tailored to the choreography. As an album it stands up, let alone as a soundtrack to a dance piece. I have checked out a few of the videos of the performance and as I have no knowledge about contemporary dance I can’t comment on the movements, the music’s experimental nature suits the performances. Martin and Zuydervelt prove to be great collaborators with the results being cohesive and not a case of two artists adding their sections to each others music. ← 1921 – In my veins.